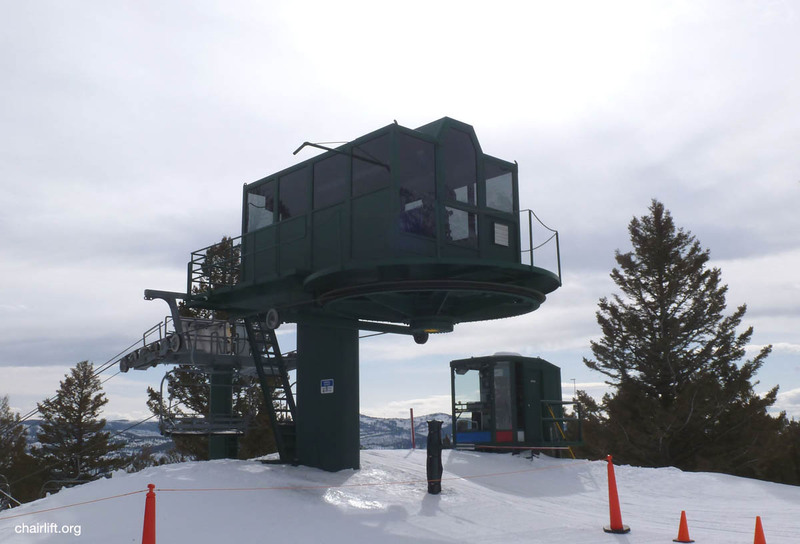 VIRGINIA CITY (RIBLET) - Built in 1978 this chair services the lower half of the mountain. 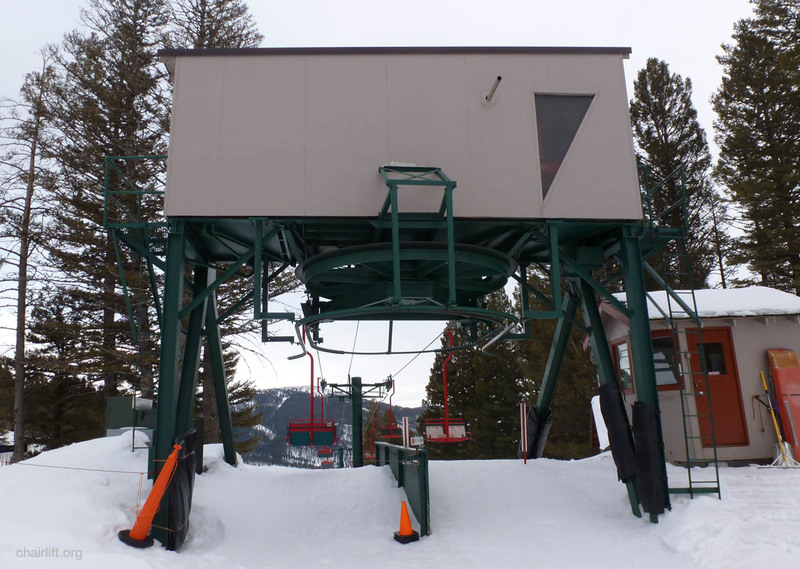 SNOW FLAKE TRIPLE (GARAVENTA/CTEC) - Added as a short learing lift in 1999. 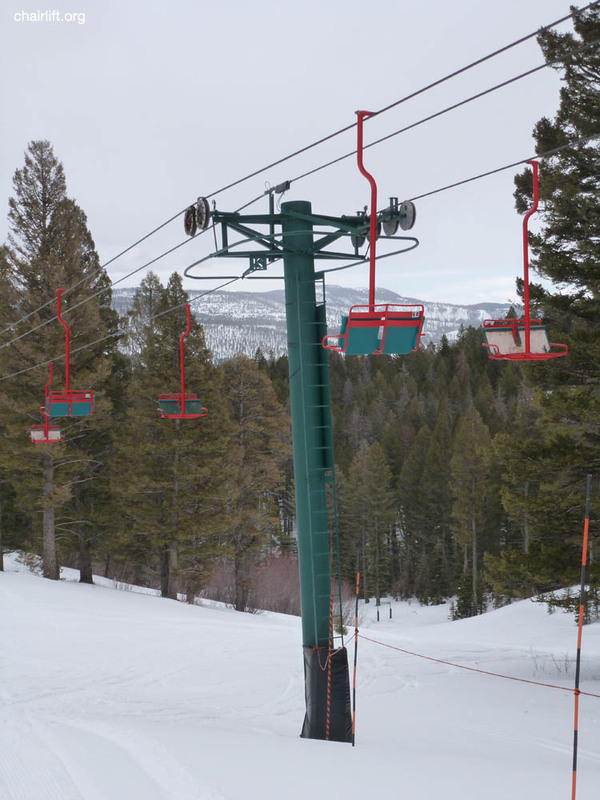 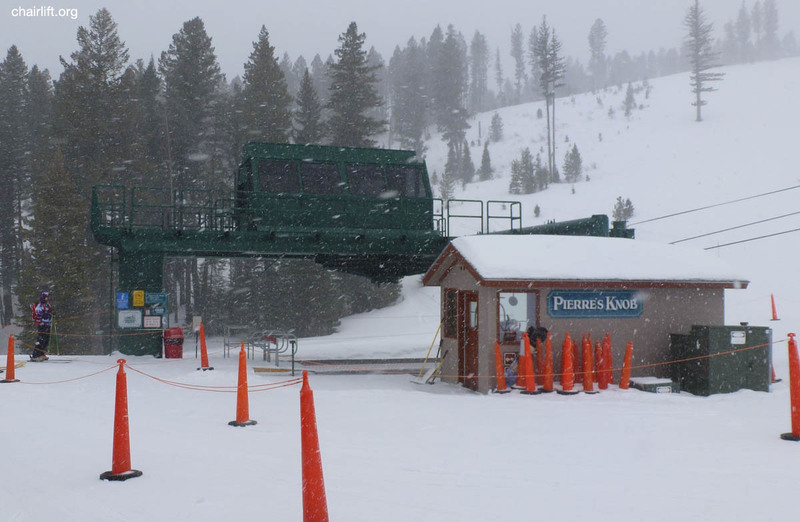 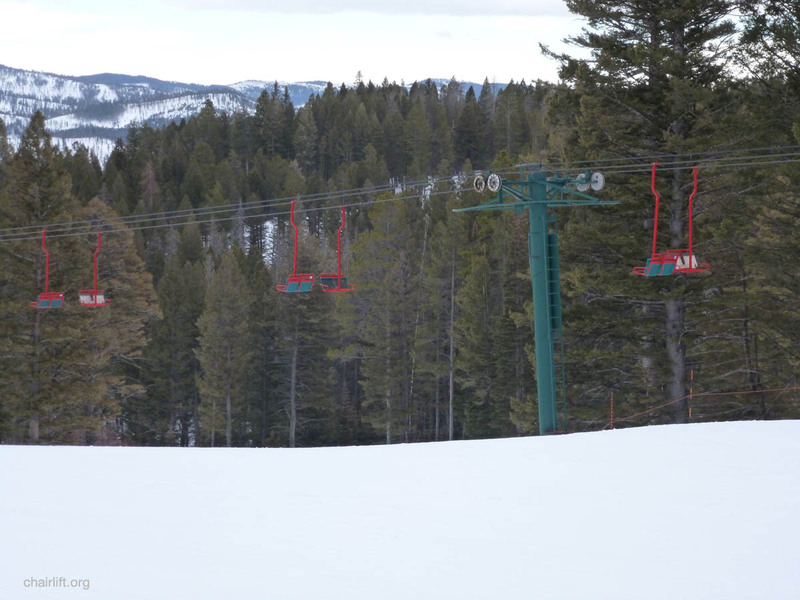 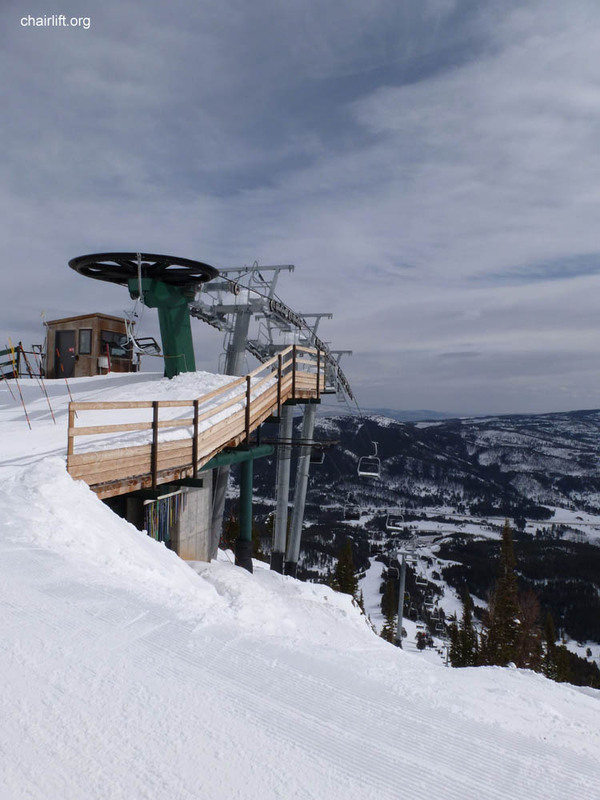 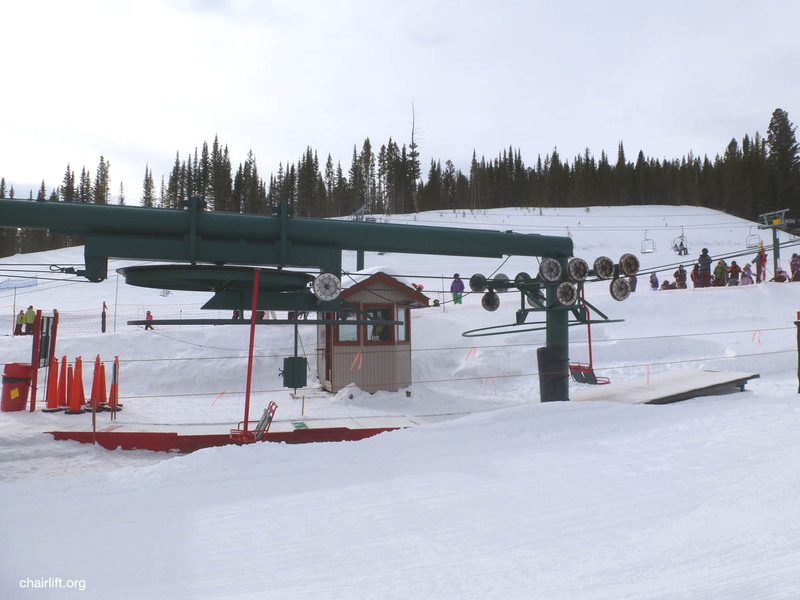 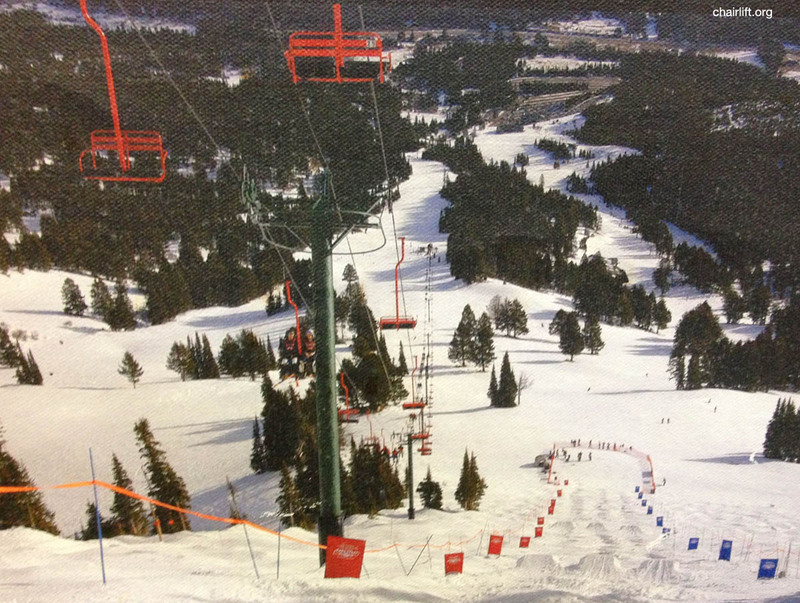 POWDER PARK QUAD (GARAVENTA/CTEC) - This quad chair was installed in 1995 as part of a lift re-alignment. 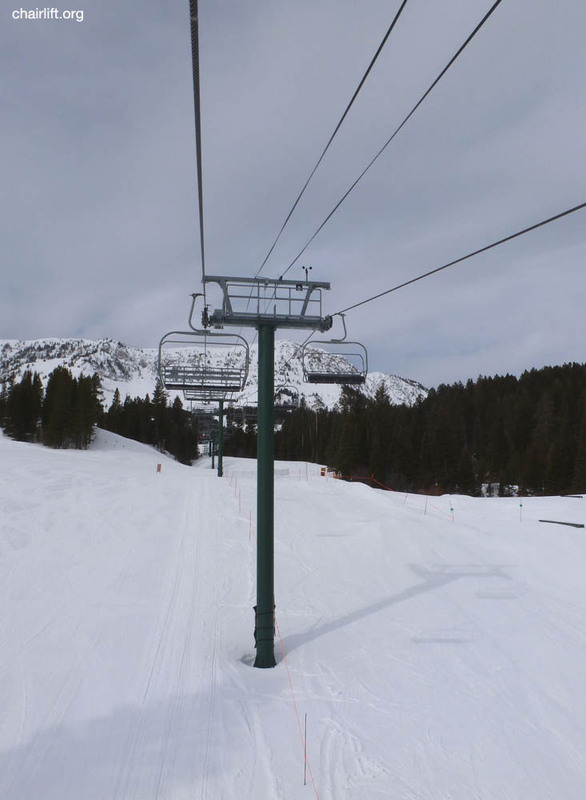 It replaced the lower portion of the Alpine chair but followed a different line to the left. 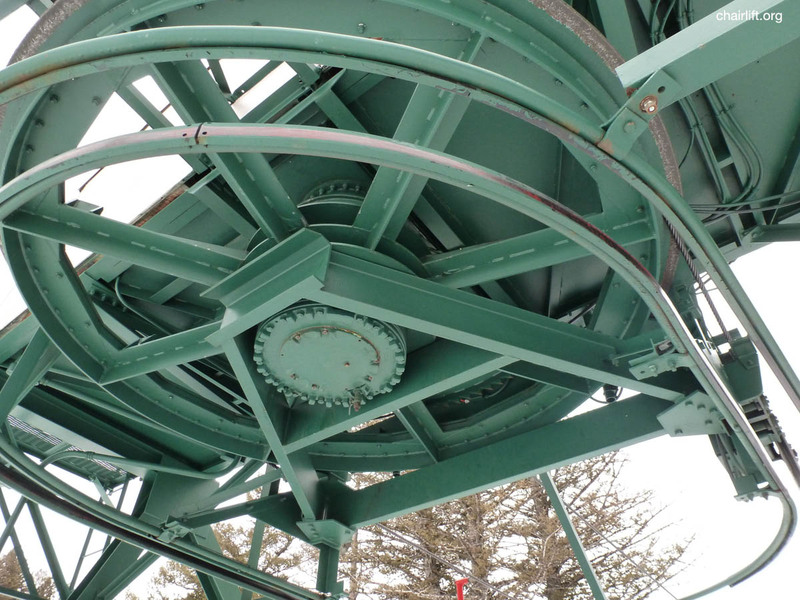 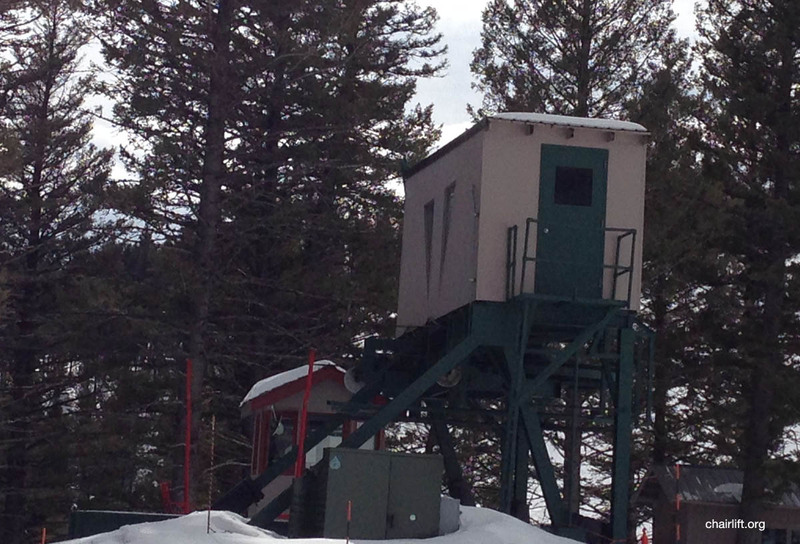 BRIDGER TRIPLE (DOPPELMAYR) - Built in 2010 to replace the original Bridger Double. 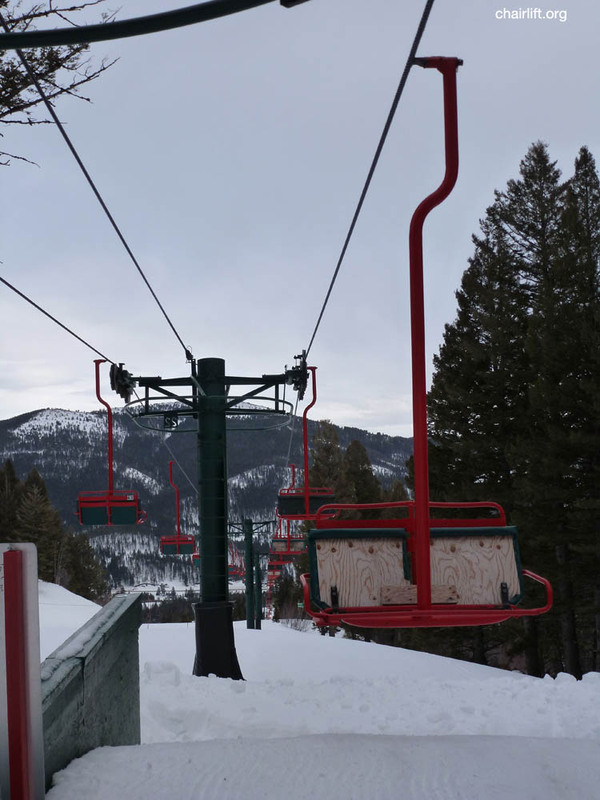 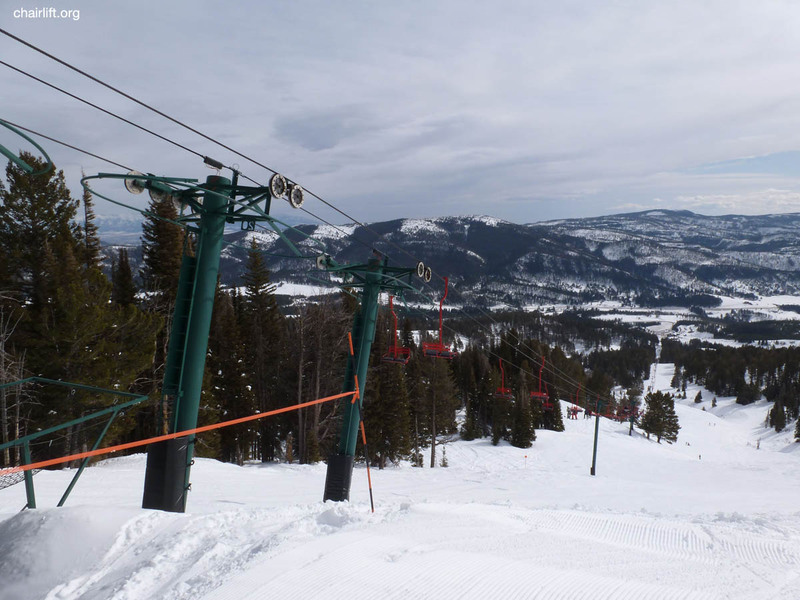 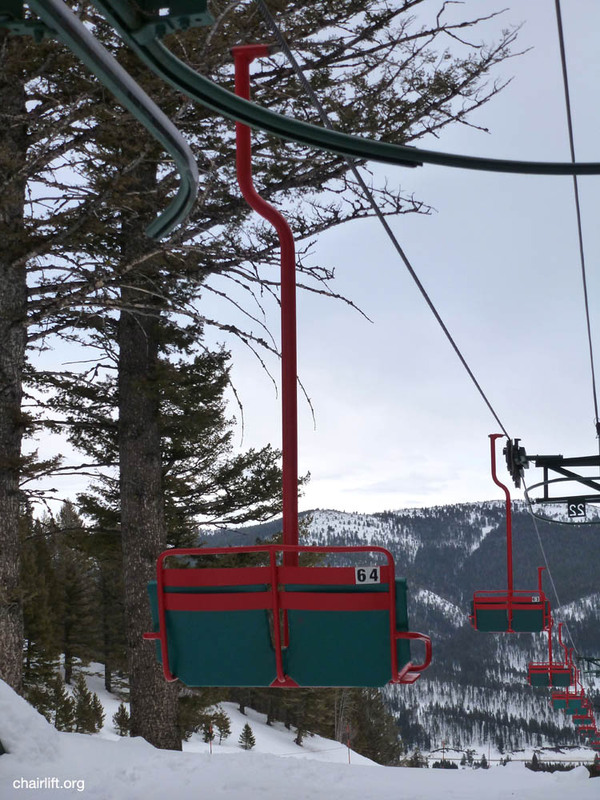 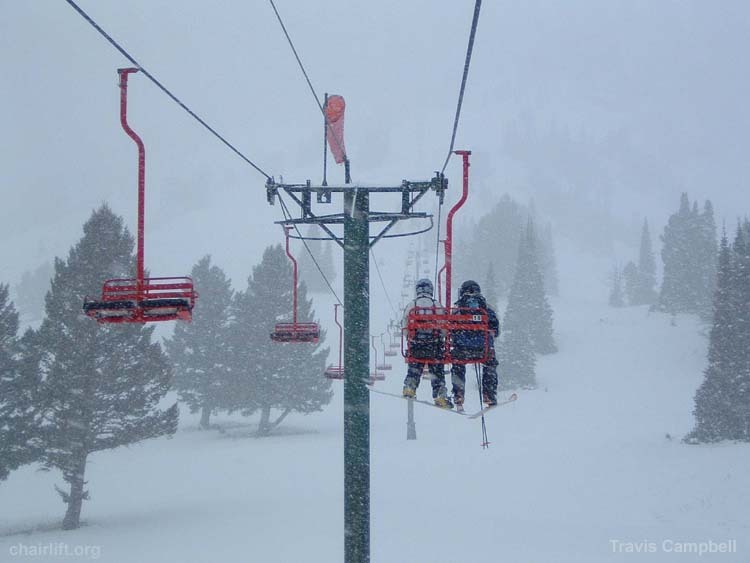 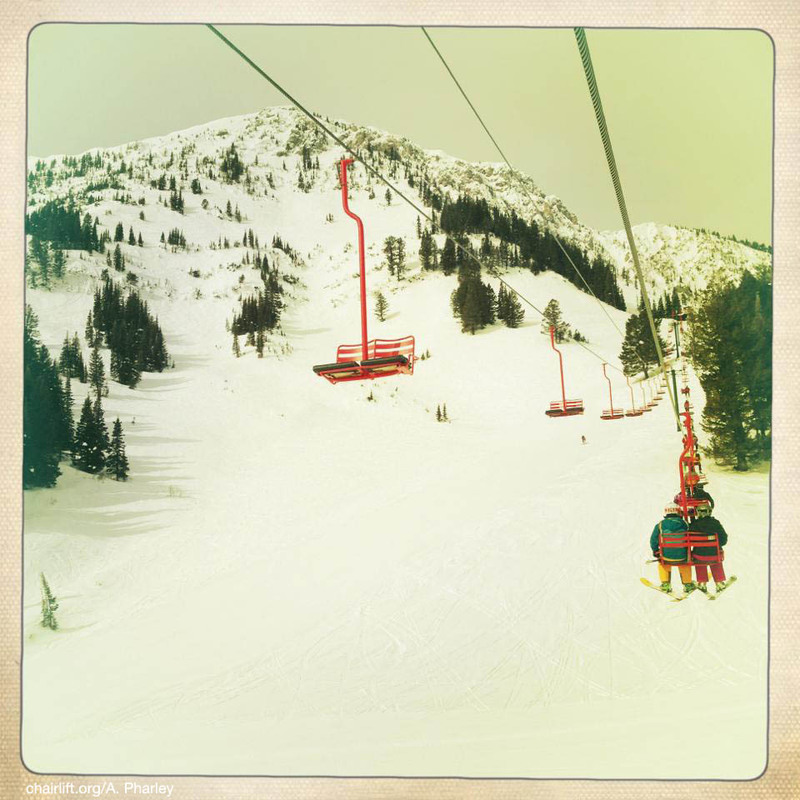 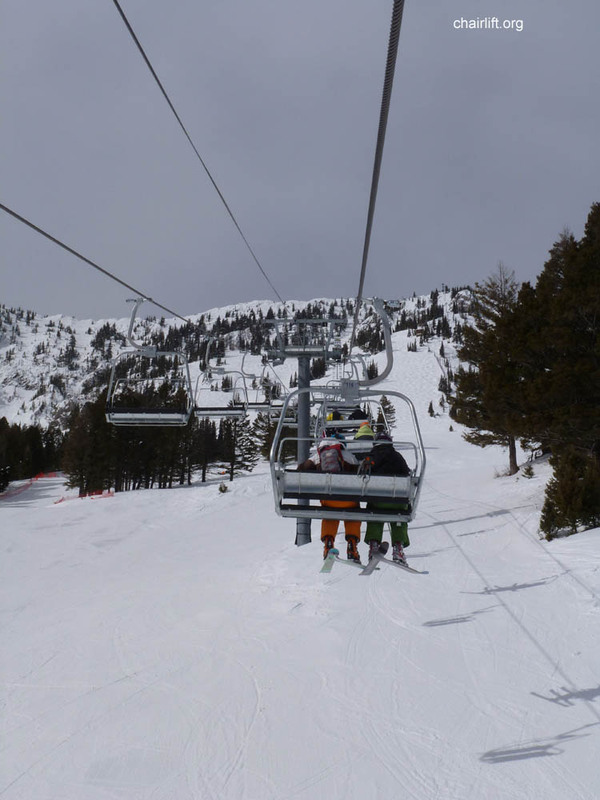 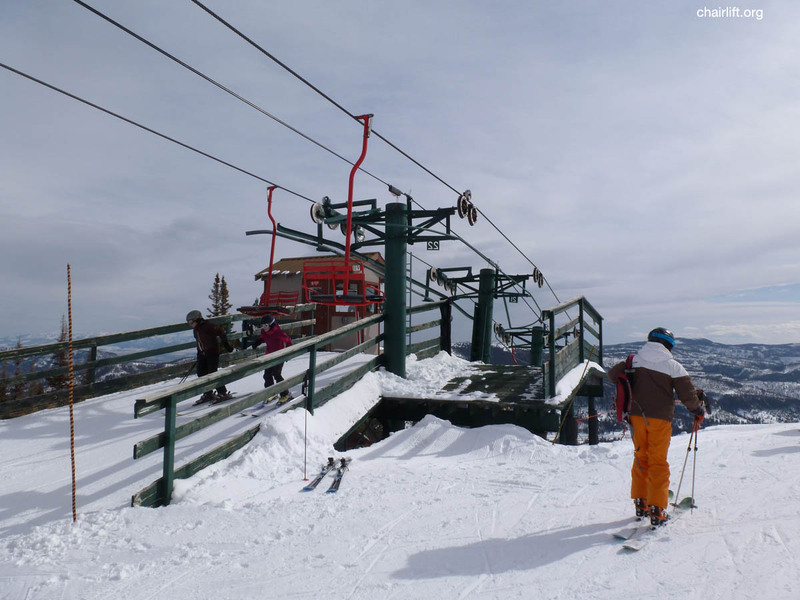 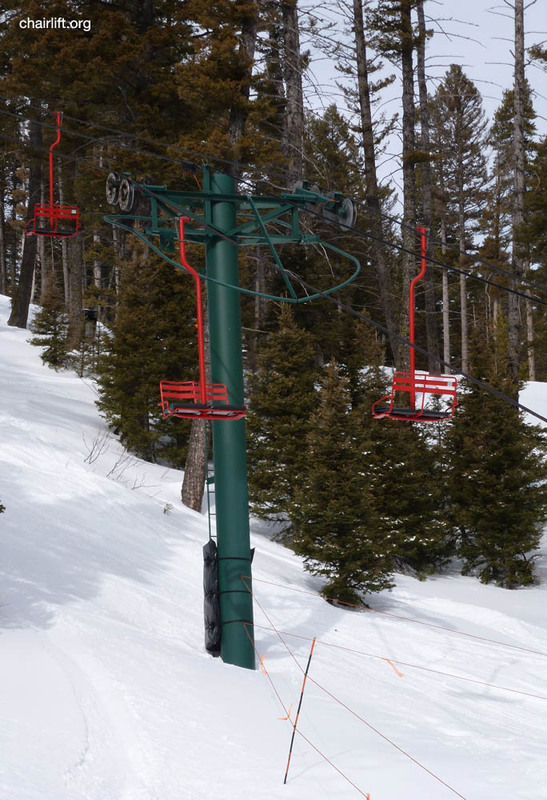 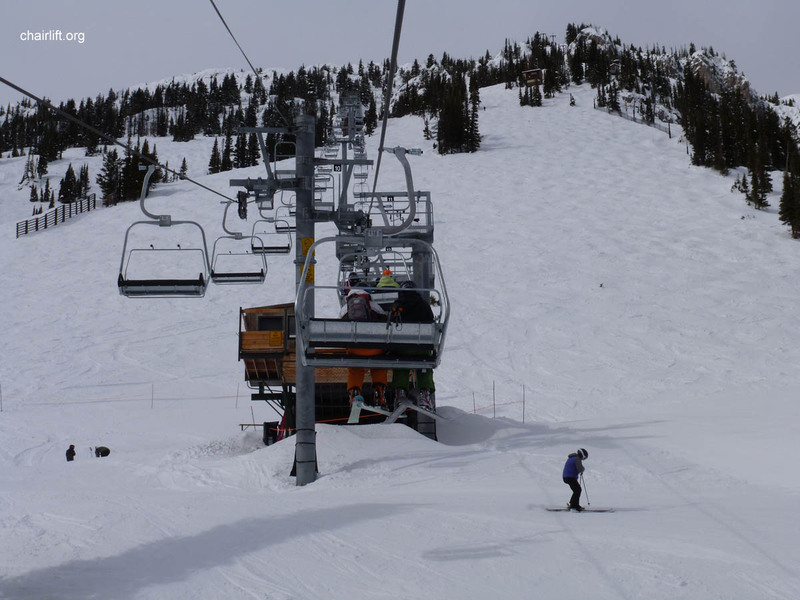 PIERRE'S KNOB (CTEC) - This triple chair was installed in 1991 to replace a 1978 vintage Riblet Double Chair. 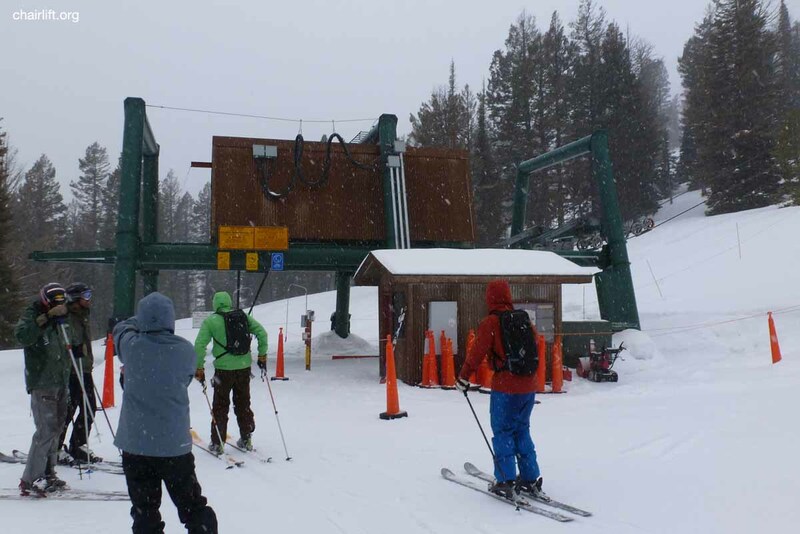 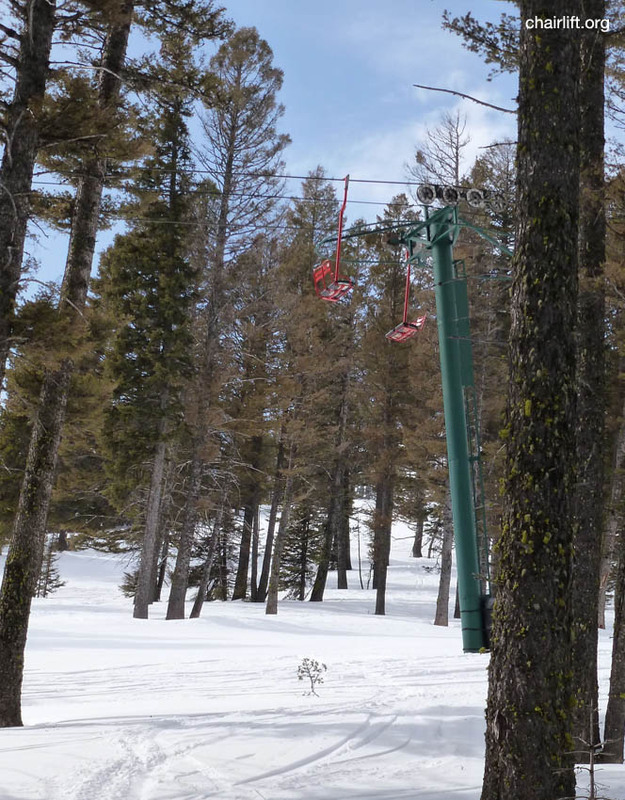 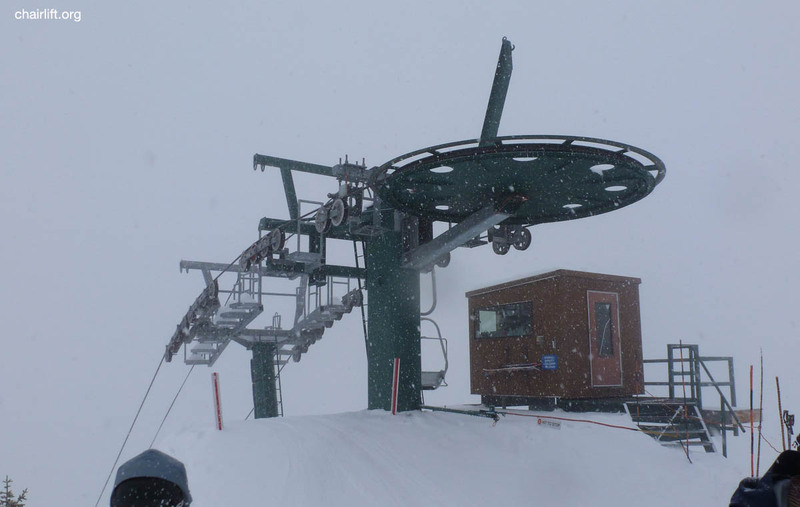 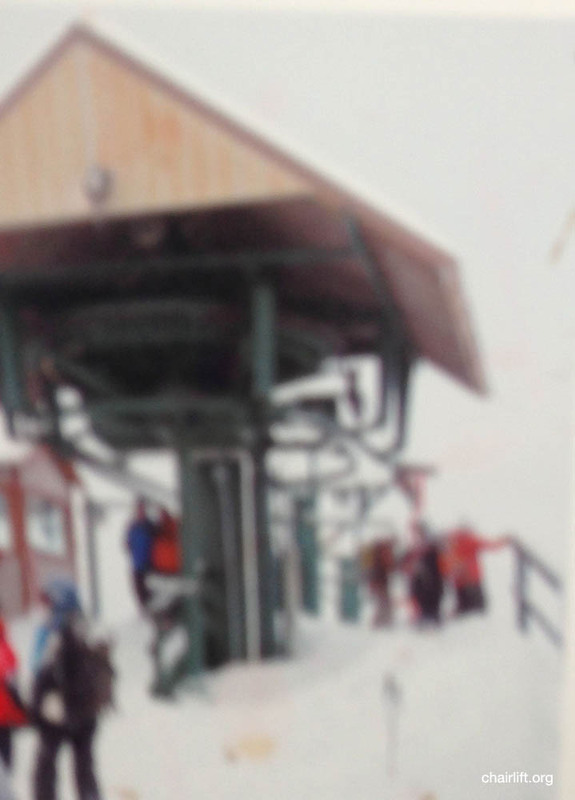 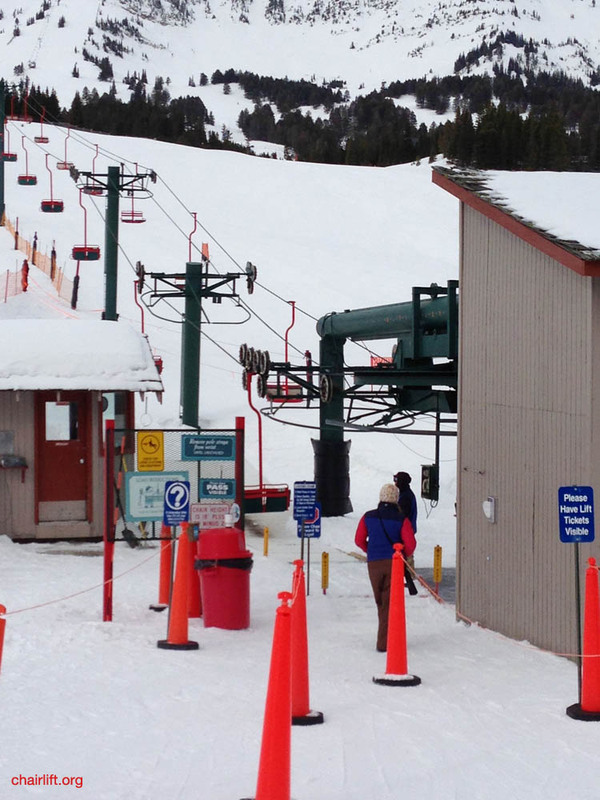 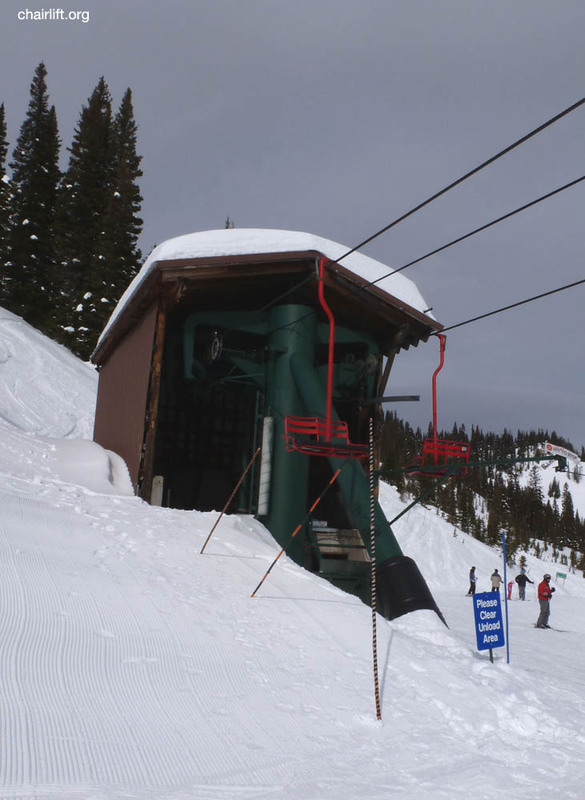 SCHLASMAN'S LIFT (DOPPELMAYR) - Schlasman's Double lift was added in 2008 to provide lift accessed "side country"
found as benches throughout the ski area. 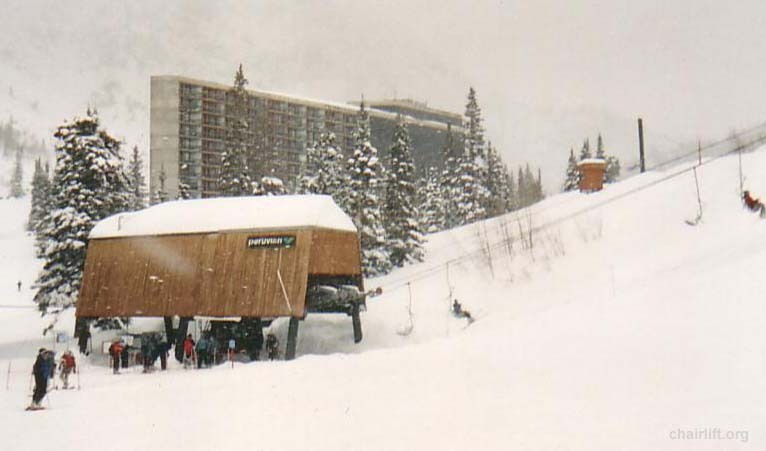 Here is a picture of it at Snowbird. 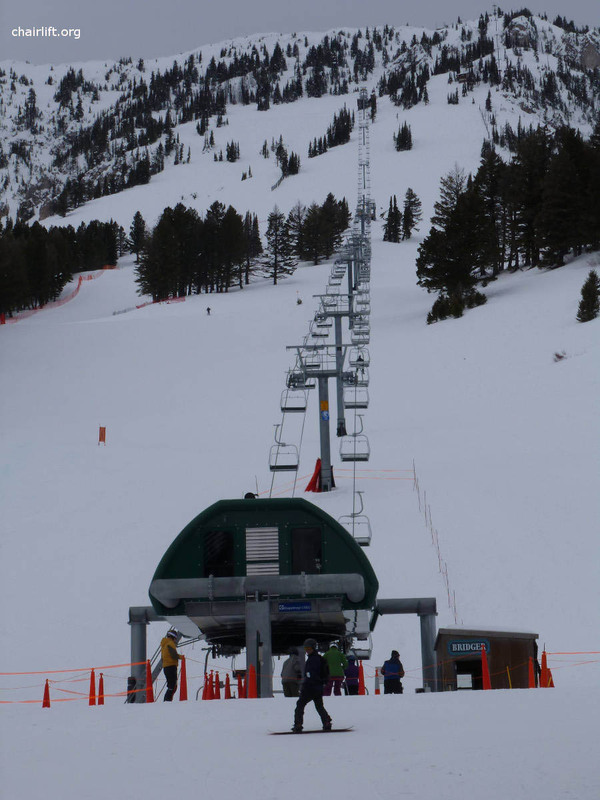 BRIDGER DOUBLE (RIBLET) - Built in 1964 the Riblet chair was the first and main lift in the upper bowl. 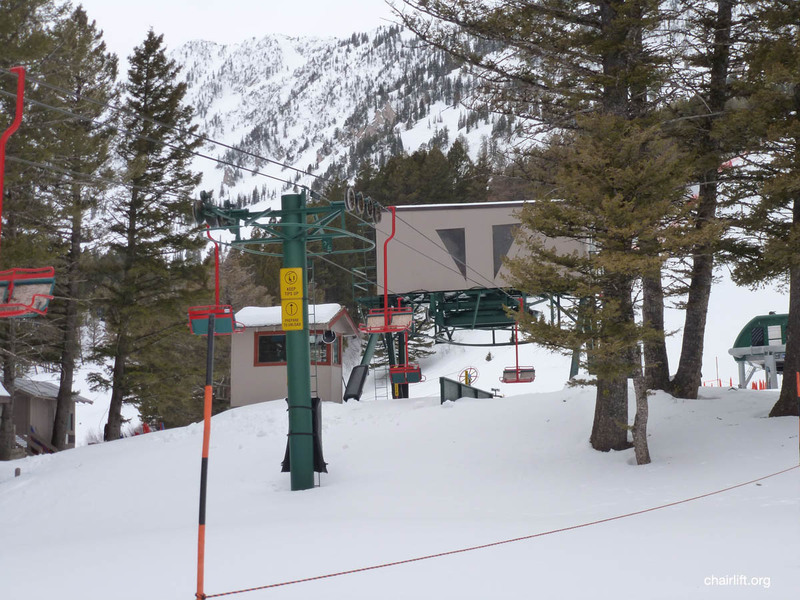 CTEC tension station. 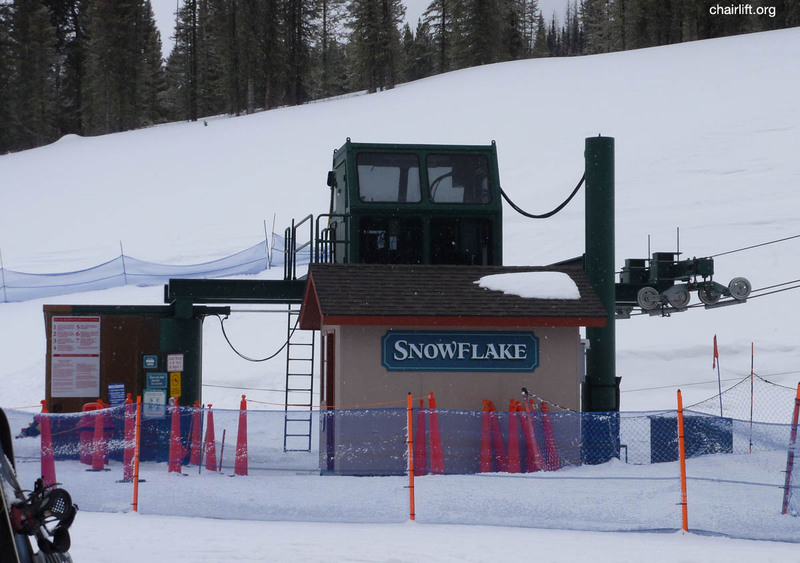 It was replaced in 2010 with a Doppelmayr Triple. 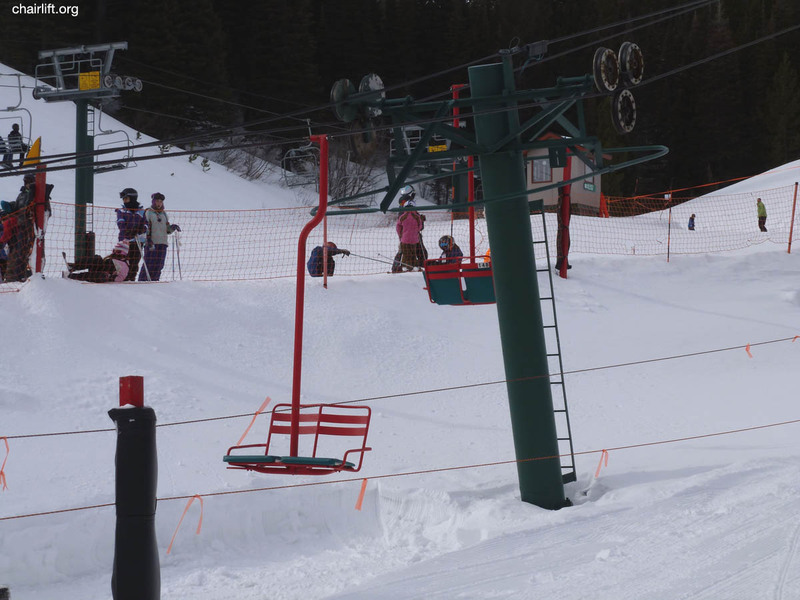 the chair was removed. 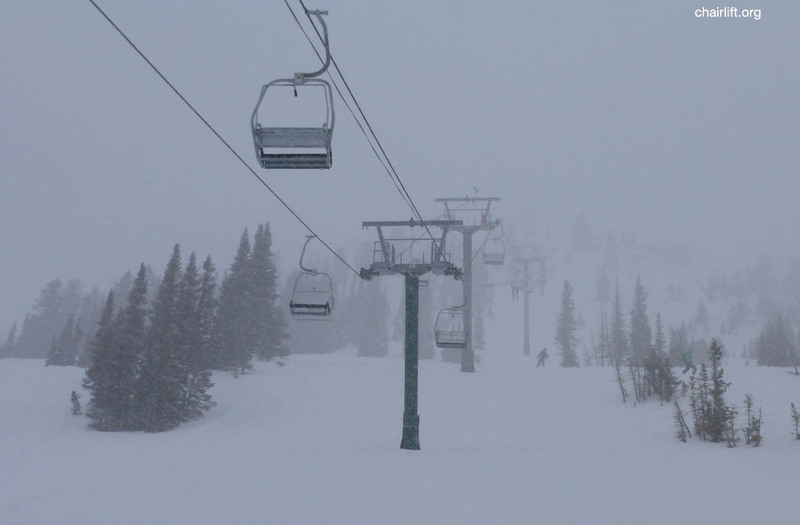 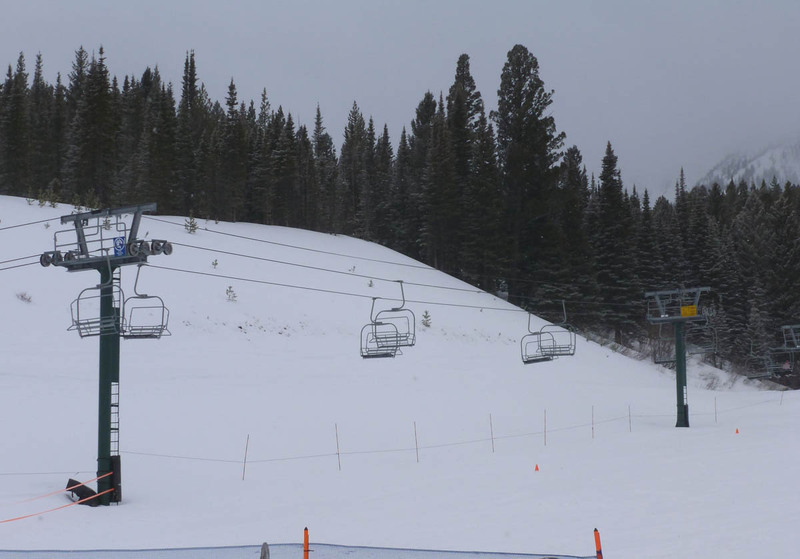 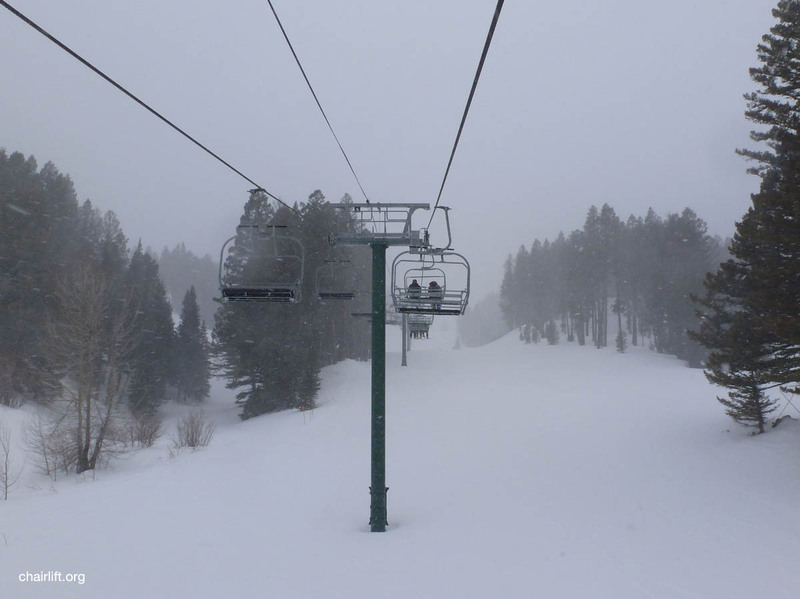 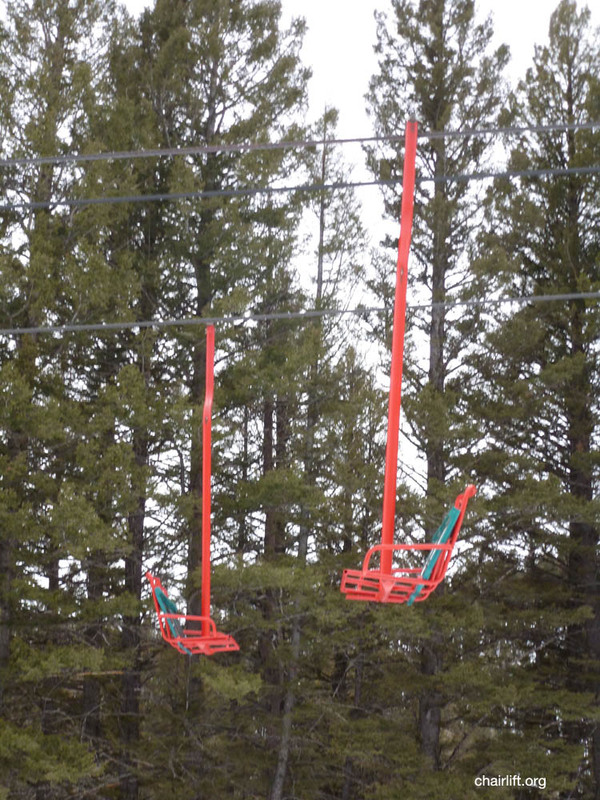 It has been replaced by two new triple chairs following different alignments. 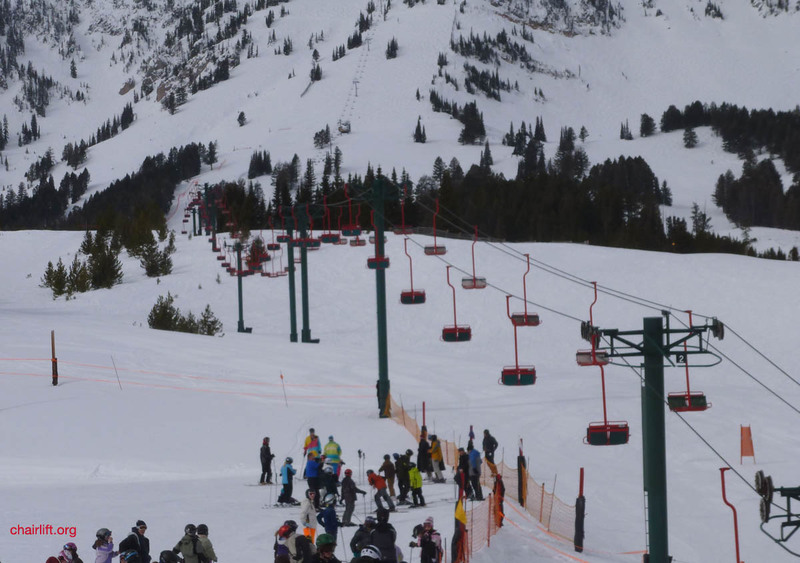 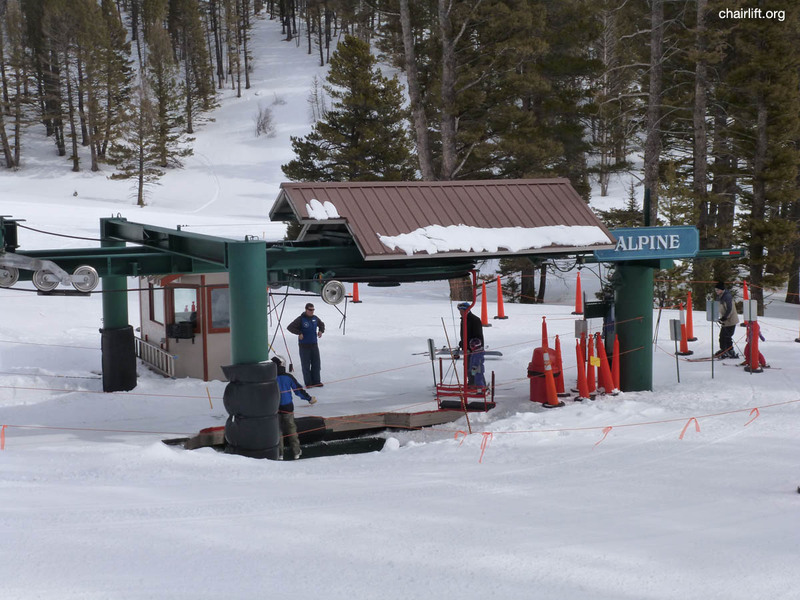 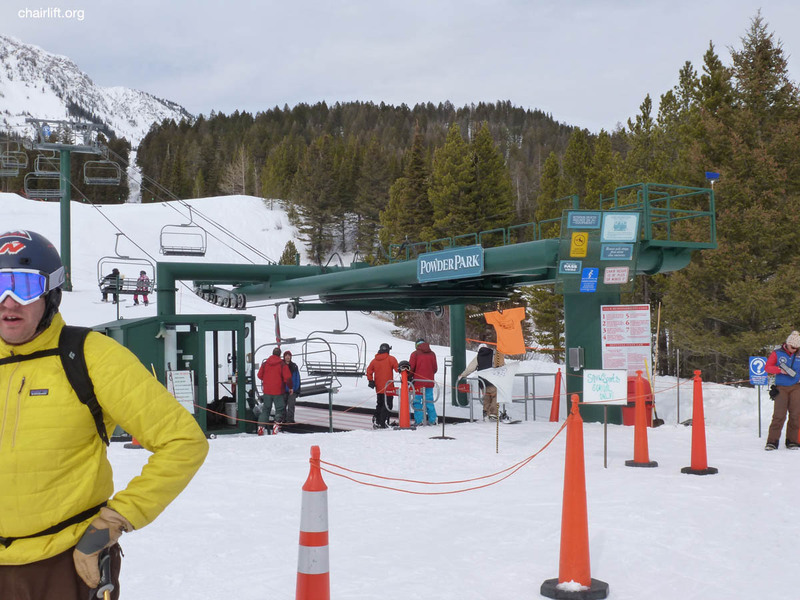 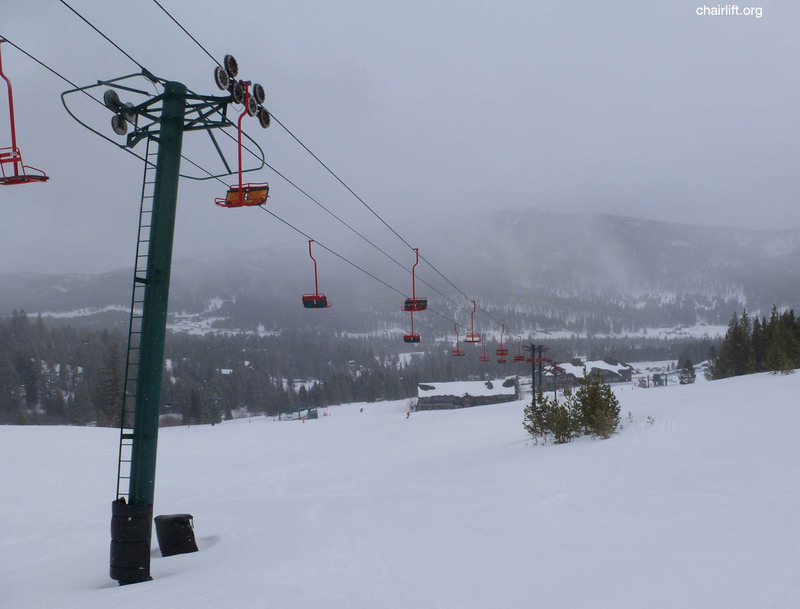 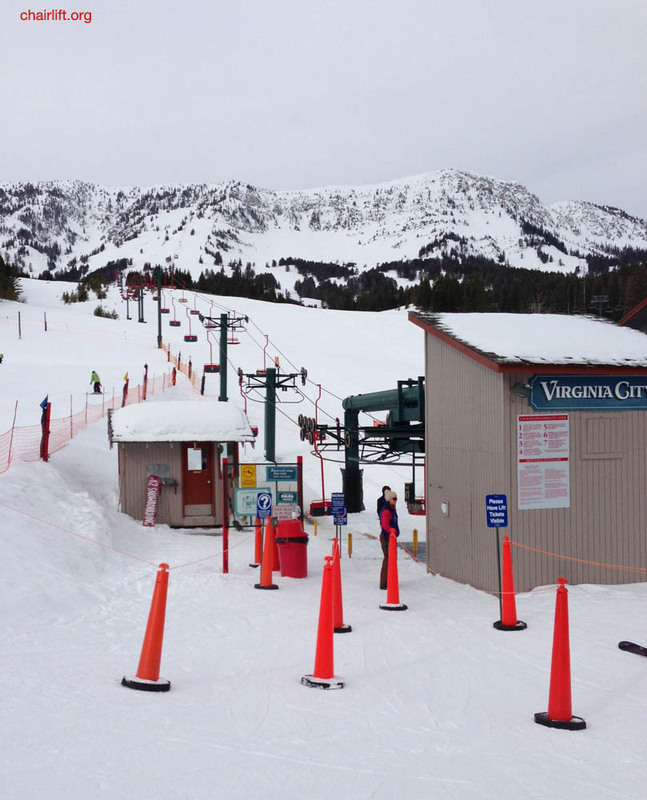 the Alpine Lift will live on at Mt. 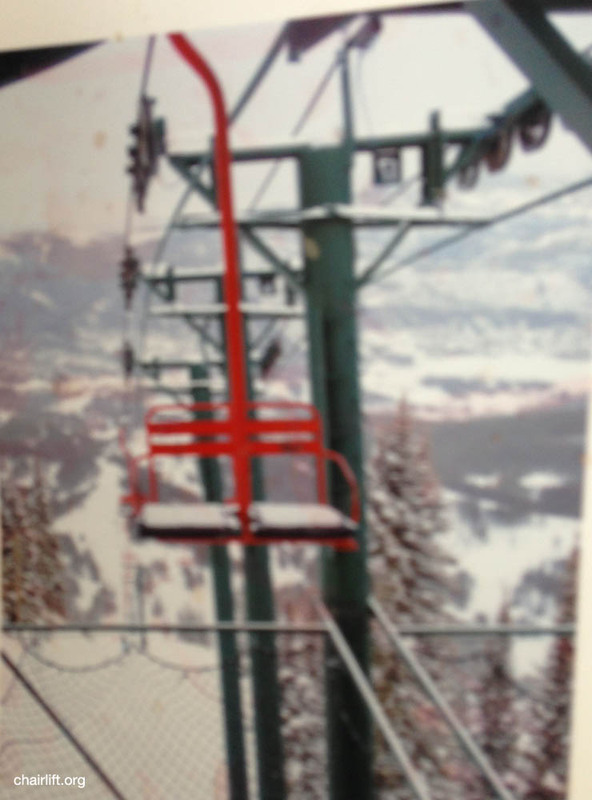 Spokane Washington as the Red Chair. 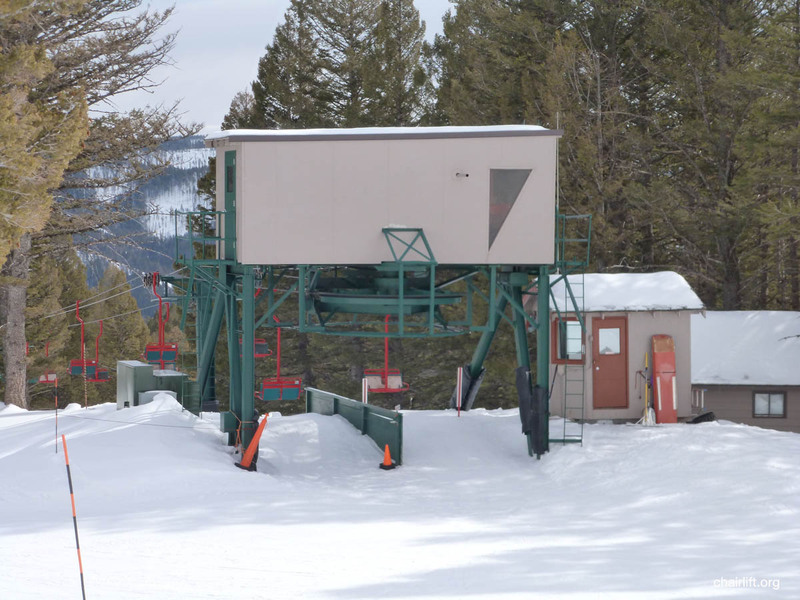 PIERRE'S KNOB DOUBLE - Installed in 1978, this lift was replaced with a CTEC triple in 1991.
the VC and Alpine lifts.Ê People could then ski over to the original base of the Bridger Chair to access the top of the mountain, or get off at midway and ski over to the Deer Park or Piers Knob chairs.